Kyocera offers advanced HyPAS integration with RightFax. 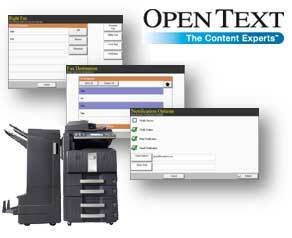 Scan and send documents to the RightFax server directly from select Kyocera MFPs. Through the effective use of existing resources, you can improve security and compliance standards while significantly reducing operating costs. Copyright © 2009 - 2019 RTR Business Products, Inc.